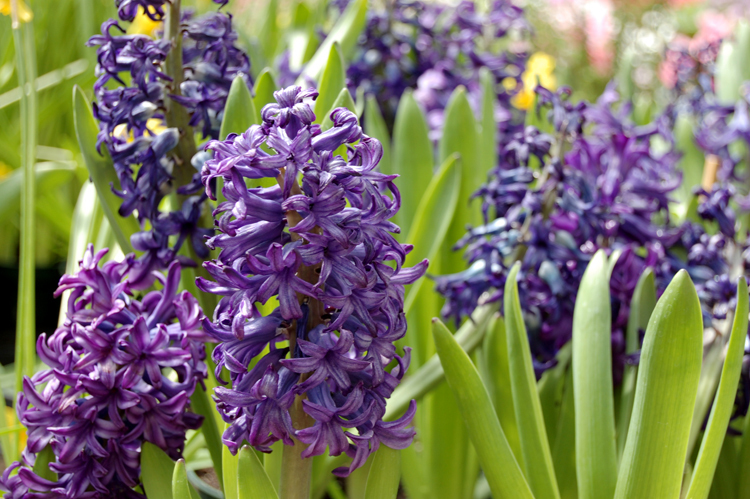 Hyacinths are hardy, very fragrant, and like other bulbs, easy to grow in well-drained soil in full sun to part shade. 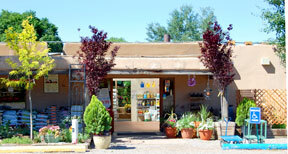 Plant in fall for spring blooming. 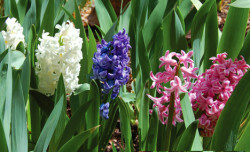 Flower colors include shades of white, blue and pink.